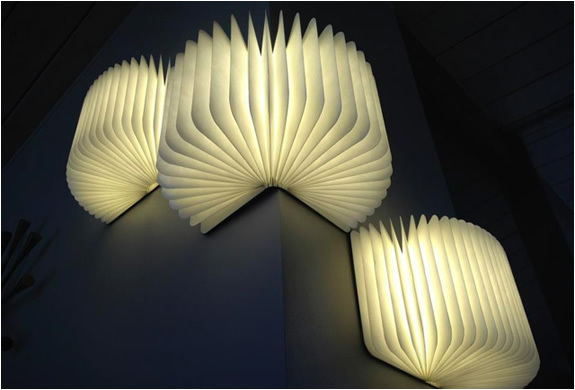 Lumio is inspired by the idea of an illuminated book, it unfolds from a book into a lamp! 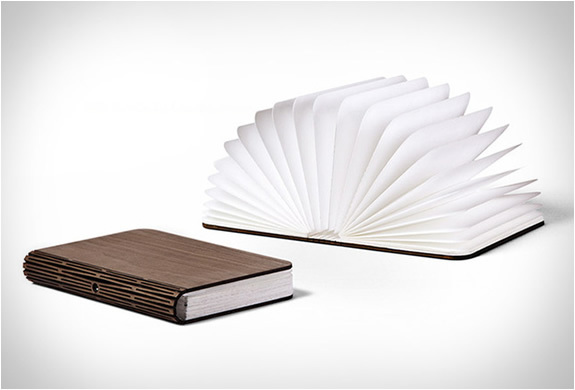 All you need to to is open the book to turn on the light and close it to turn it off, no switches or buttons. 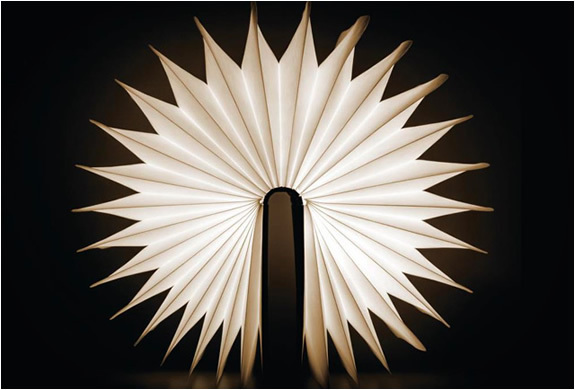 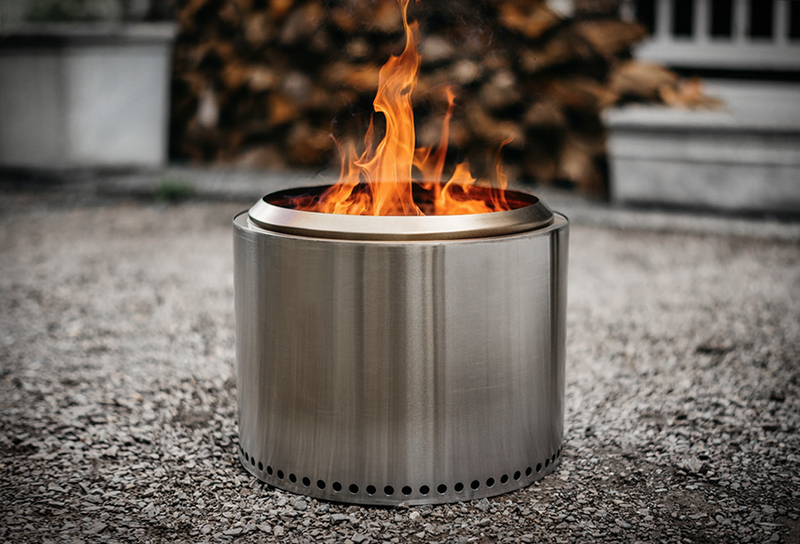 Lumio was designed by designer Max Gunawan and when fully charged remains lit for up to 8 hours. 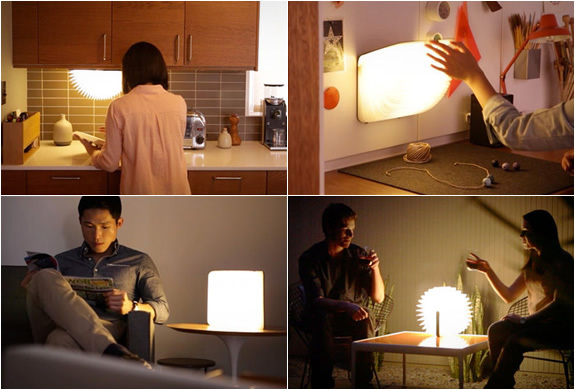 When open, Lumio offers multiple lighting possibilities: ceiling pendant, outdoor lantern, table lamp, etc...The original project was recently launched on kickstarter and is already way past its funding target.